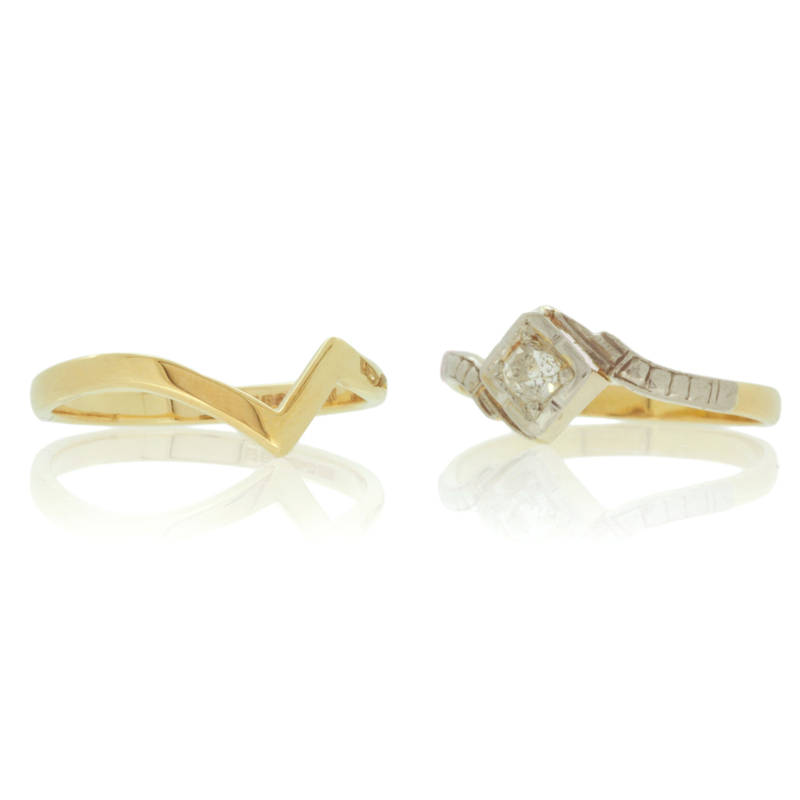 Bespoke shaped zig-zag wedding band hand-alloyed 18k yellow Fairtrade gold to sit snuggly against a vintage gold and platinum engagement ring. 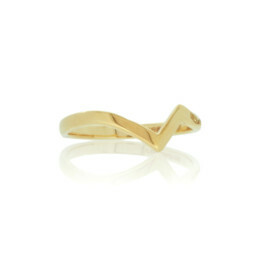 The yellow gold in the wedding band was specifically formulated to match the gold band of the original engagement ring. Commission your own shaped wedding band from a palette of colours in 9k, 14k, 18k and 22k Fairtrade Gold, all of which are all hand-alloyed in the workshop. Recycled Palladium and platinum are also available.